2. 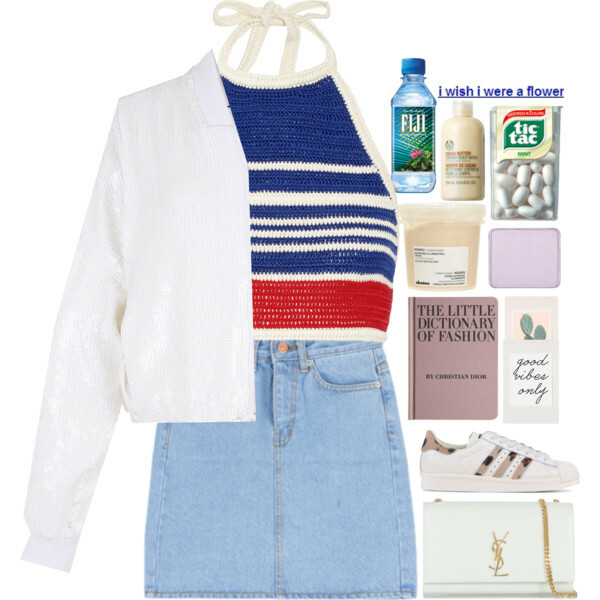 Keep a bright blue-white-red knitted halterneck crop top toned down with a white jacket, washed light blue denim skirt and white sneakers. 3. How about making things look simple and girlish? 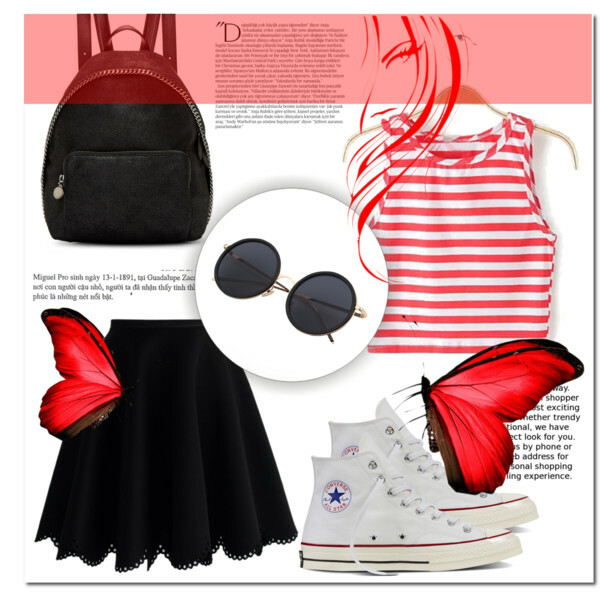 Go for a red-white striped short tank top, rounded black shades, black flared mini skirt, black leather backpack, and white high-top trainers. 4. 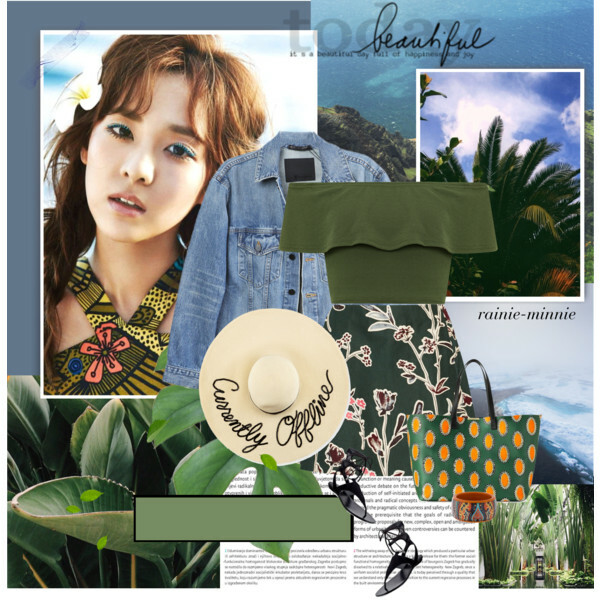 Floral print green mini skirt ideally matches this off-shoulder military green crop top worn with washed blue denim jacket, wide-brim sunhat, and printed tote bag. 5. Wear a crop top in the same cream blush color as your maxi skirt to make it look like you’re wearing a matching set. Complete this combo with a gray-white pullover if it’s cold outside. 6. You don’t have to look glamor when wearing a maxi skirt! It can be complimented with white off-shoulder crop top, blush ankle-cuff flat sandals and tote bag. 7. Double denim is always a win-win look. Try on cropped light blue denim top with matching color pencil jean skirt, rounded sunglasses, espadrille sandals and cream-white tote bag. 8. Simplicity can be your best friend. How about pairing front-buttoned denim mini skirt with a front-knotted white tank top, blue brimmed hat, tote bag, and black-white striped sandals. 9. Wrap shortened pencil skirt in abstract geometric print can be worn with a slouchy gray-blue sleeveless top, straw clutch bag, and white espadrilles. 10. Halter-neck sleeveless crop top and white mini skirt combination look simple, but easy-to-wear. Complete it with white trainers and pastel blue chambray quilted clutch. 11. 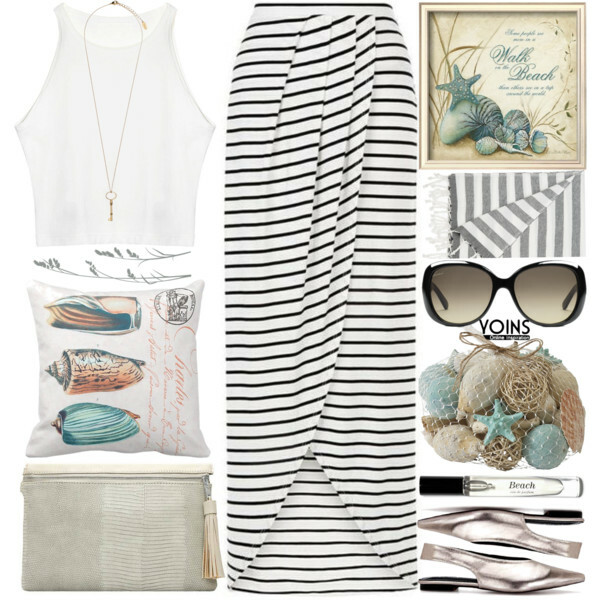 The black-white striped maxi skirt is a simple addition to this white tank top and statement black sunglasses.